To complete the linking, you would need to register your mobile number and e-mail address. Once you correctly enter these two details, click ‘Submit’. Also Read: Is your name in Voter Card List ? Is it mandatory to link the Voter ID Card and the aadhaar Card? Find out here. Internet connection is not mandatory if you want to link aadhaar Card to Voter ID Card. This linking of the two supreme identity cards can also be done via quick text message. You would then shortly receive a confirmation SMS declaring the link aadhaar Card to Voter ID Card part. 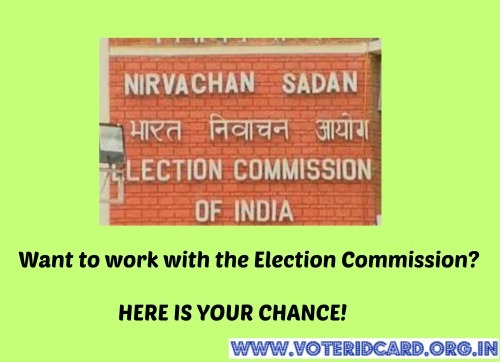 Thus, you can choose either of the two above mentioned ways to link aadhaar Card to Voter Card and stay assured that the process would not take more than 2 minutes of your important time. If in case, you face any problems while linking the two identity cards, you can leave us a comment below. SENT SMS FOR LINKING AADHAR CARD TO PHONE NUMBER 51969. Department service is not available. please try after some time. please tell me when this file is process. kindly provide my EPIC NO. i have urgent work of my EPIC NO. ID Card not received – where we get it ? we can generate the ID Card online? Amazing Infographic with Great Explanation.Now I get to know the Whole Process Easily that How can I Connect my Voter ID card with Aadhar Card. kindly do progressive work too speed in making of aadhar with voter card. kuch nhi hota…nothing happens trough website and through sms thy jst deduct our 3rs. Please follow the steps mentioned in the post above. Sir I spend time and mony both but not passitiv reply send me. Bas aise hi Aadhaar Seeding ya Link Aadhaar to Voter ID hoga NVSP portal pe. He wanted to update the same in his voters id card. Please inform me what is the process for the same. Also, he has recently applied for the adhar card; After receiving Adhar Card will this linking of Adhar Card to Voters Id card will help in updating the voter’s id card errors automatically? I already associated my voter i card with aadhar card through online services, the other day an election commission official came to our house, for this same purpose, i again gave him my aadhar and voter i card details , as i thought a submission of the hard copy of the documents is also required. After that i got a message from election commission stating that your aadhar card is already associated and the same aadhar card cannot be submitted with multiple electoral roll entries. So is there a problem? Or the association has already been done? There is no problem. The message you got confirms that your online process to link Aadhar card to Voter ID was completed successfully and hence when the election official tried to submit the same it showed that the card is already linked. So you need not worry. Your card is linked and you are association is done. After seeing link aadhar card with voter id with in two minutes I send an sms. As said above,I received an sms your aadhar card details can not feed at this time please try later after I was charged Rs two.I wondered for being charged with out linking my aadhar to voter ID card.This is for everybody to note. The aadhar card could not have been linked due to some error or technical problem with the server that handles the voter id database. Sometimes due to large number of applications these things can happen. However, as far as your query as to why Rs. 2 were charged, this is because the Rs. 2 is the SMS charge that you pay for sending any SMS to hotline numbers like the one mentioned for Aadhar and Voter ID card linking. The same kind of service numbers are also given by gameshows like KBC, or reality shows that allow the viewers to vote or answer questions and charges are deducted for the SMS. This charge is not collected by the Government or Election Commission nor by UIDAI. But these Rs. 2 charges are deducted by your mobile phone service provider because the SMS did go through. So it is the SMS charge and not the charge of Linking Aadhar Card to Voter ID Card. Hope I have cleared your doubt. I applied in adhar center to change address of my adhar 2 days ago. In that case Can I link my voter id to aadhar card or should I wait until I get my application done?